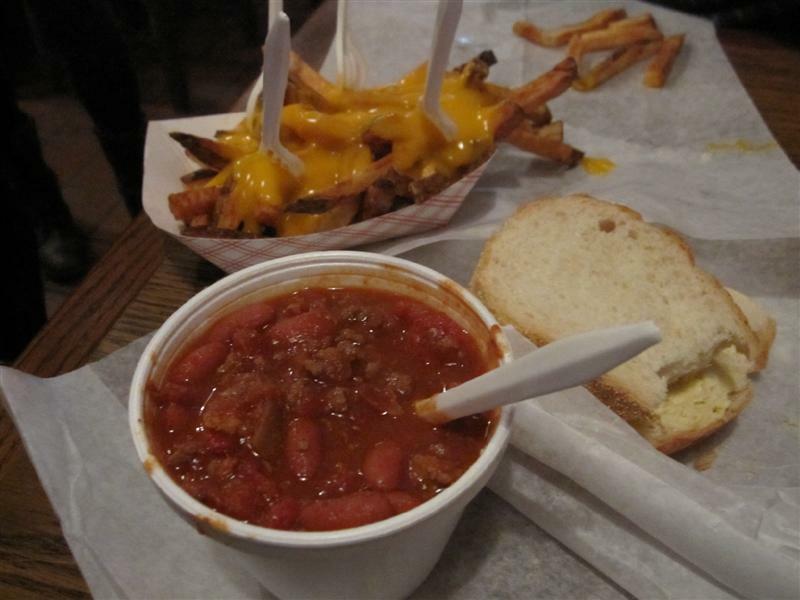 I ordered the spicy Pittsburgh-style chili. The four of us shared the cheese fries. The kids had sandwiches too, although there is no kids’ menu at this location, and much of The Girl’s huge portion went uneaten. Overall, yummy. And the waiter called me “honey,” which is music to my 40-something ears. This place has been on my list for years (ever since seeing the size of those sandwiches on one of the Travel Channel shows). I can’t wait. Nice post this week Honey. 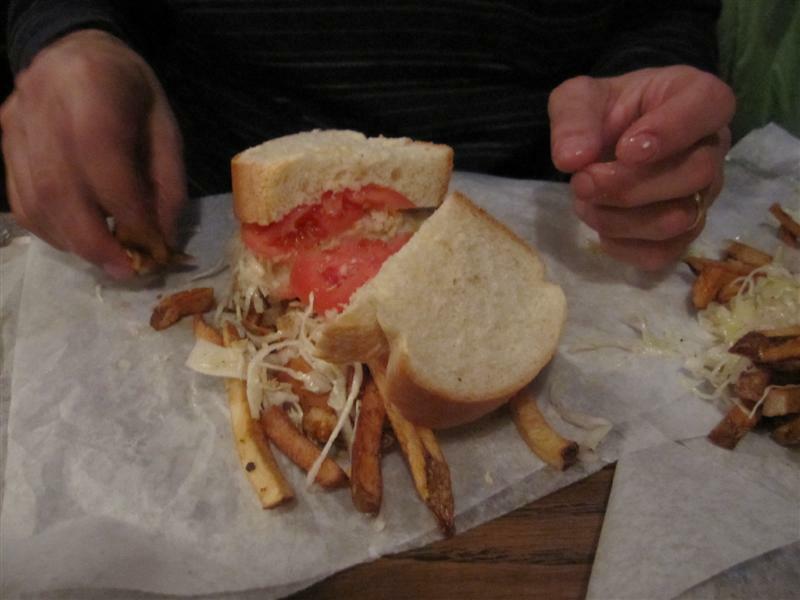 This looked so good until you said the fries come on the sandwich. Not too sure how I feel about that, but I’m sure I’d give it a go anyways. Matt has great taste in sandwiches! Thanks for the info, Danielle! That sound like an amazing event. I would have loved a taste of that Po’ Boy! Matt however doesn’t eat anything which swam in a former life. On a photo the meal looks so appetizing, and you so is tasty tell that I have got hungry.